Fresh off of his dynamic Public Art Fund Commission, Tear of the Cloud, which was on view at Riverside Park this past October, Guild Hall is pleased to turn over the entire museum to this noted artist who will delve into the subject of water and notions of “magical thinking” for the East End. Oursler has developed a new multimedia series of works which incorporate glass, computers and water. Thematically, the ubiquitous element of water becomes a repository for our belief systems as the artist references the development of cartography and the subsequent vanishing of sea monsters, Hollywood movies and evil maritime spirits, counterculture and the pseudoscience of water memory. 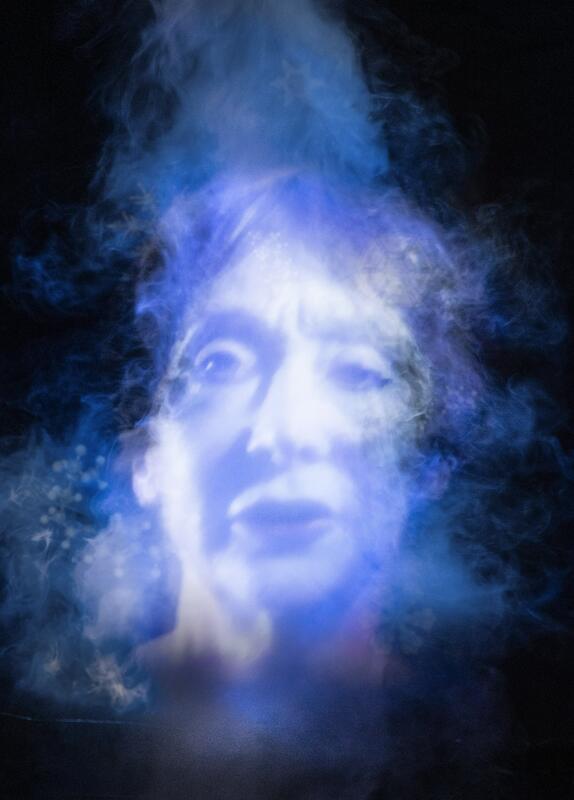 A pioneer of installation and multimedia art since the late 70s, Tony Oursler has developed an experimental and innovative practice that utilizes projections, optical devices, audio, video and sculpture to move images away from the white wall and onto unexpected surfaces or environments. 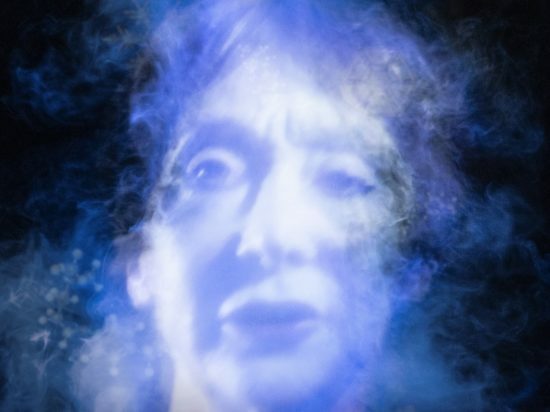 Employing conceptual dramaturgy, VR, 3D, stop motion, and live action, Oursler’s films draw inspiration from pop cultural and fringe phenomena, while frequently referring to science and technological advances, to create a dialogue between perception and communication. 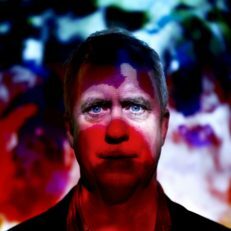 Tony Oursler lives and works in New York City. His museum exhibitions include The Museum of Modern Art, New York (2017); Magasin III Museum & Foundation for Contemporary Art, Stockholm (2016); Hessel Museum of Art, Bard College, Annandale-On-Hudson, NY (2016); The Museum of Modern Art, New York (2016); LUMA Westbau, Zurich (2015); Stedelijk Museum, Amsterdam (2014); Oude Kerk, Amsterdam (2014); Pinchuk Art Centre, Kiev (2013); ARoS Aarhus Kunstmuseum, Aarhus, Denmark (2012); Helsinki City Art Museum, Helsinki; Metropolitan Museum of Art, New York (2005); Kunsthaus Bregenz, Bregenz, Austria (2001); Whitney Museum of American Art, New York (2000) and Kunstverein Hannover, Germany (1998). He has also participated in prestigious group exhibitions including documenta VIII and IX, Kassel, Germany (1987 and 1992). 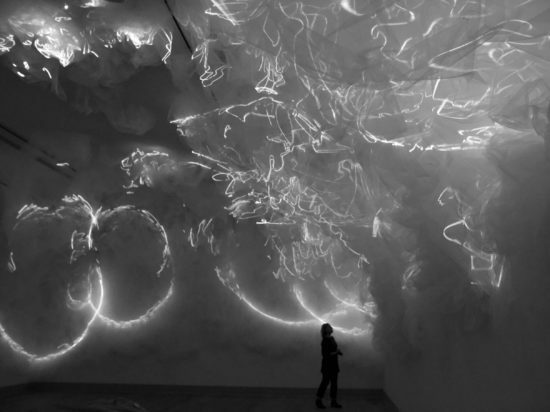 Oursler’s work is included in public collections worldwide, among them, the Hirshhorn Museum and Sculpture Garden, Washington, DC; Centre Georges Pompidou, Paris; Museum of Modern Art, New York; National Museum of Osaka, Japan; Tate Collection, London; Van Abbemuseum, Eindhoven, The Netherlands, and ZMK/Center for Art & Media, Karlsruhe, Germany. Exhibition support provided in part by The Marc Haas Foundation.